Activate Hope! 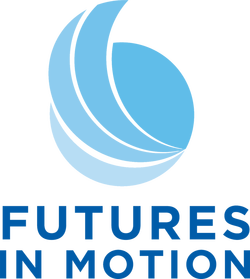 Retreat - Futures in Motion, Inc.
Have you experienced unexpected life changes that have left you confused about who you are and what you want for your life and career? Are you asking yourself, "What do I do now?" Do you want to make a fresh start but feel stuck? I know what it’s like to rebuild your life and career after loss and personal challenges. A few years ago, I experienced a series of unexpected life changing events within a 2 year time frame. It left me reeling and uncertain of my future. When I emerged from the grief fog, I had no idea what to do next. I didn’t know who I was anymore. I didn’t know what I wanted to do with the rest of my life, and I didn’t know how to move forward. I considered closing Futures in Motion after almost 15 years in business. In various ways, many people- philosophers, spiritual teachers and everyday folks- talk about finding a glimmer of light in dark places. Maybe you’ve been searching for a light, a glimmer of hope and can’t seem to find it. Perhaps, you’ve tried to think positively, or tried harder not to be sad and muster the strength to reach for hope. Yet, hope and purpose feel outside of your grasp. I know trying to find hope and purpose again can feel frustrating. What if I told you it’s possible? What if I told you there are ways to get to hope again, so that you can thrive again, live a fulfilling life and pursue a meaningful career? I know what it’s like to find hope and purpose again. It’s not an overnight process and can’t be forced. But, you can learn how to reframe your experiences, view opportunities through a new lens and start a new story. I want to teach you how to turn the page and begin again with hope and purpose. In my half day retreat, ACTIVATE HOPE! HOW TO RECLAIM YOUR FUTURE AND DESIGN A CAREER YOU LOVE, I teach people how to take back their power and craft a new vision for their life and career. The retreat is a time when you can take a few hours away from the hustle and bustle of life, enjoy a beautiful setting and begin to craft a new vision for your life and career. You’ll be joined by a small group of others who are also looking for a fresh start.  You'll create a personalized vision and action plan for taking the next step. You'll leave the retreat with keys to unlock a new future of your design. If you’re ready to take the first step to design a meaningful life and career you love SIGN UP TODAY for the retreat. You’re not alone, and I want to help you reclaim your life and career. Are you ready to take the first step to design a meaningful life and career you love? Yes, I’m ready to Active Hope!